SFNW begins as a podcast series aiming to showcase the finest Techno all over the world. More than that it’s about a common purpose, a shared mission: spread and promote the highest quality and involve in our forward-thinking scheme. Max Durante is a true pioneer of industrial techno, as well as a real wizard and inventor on the turntables. Each musical element in here will browse your entire body and mind, creating a direct and almost organic connection to the world of Max! We are delighted to celebrate our 3rd anniversary with the Irish producer Eomac (Killekill / R&S Records). Ian McDonnell, a.k.a. Eomac, is an artist, composer, producer, label owner and DJ. A podcast series aiming to showcase the finest Techno all over the world. More than that it’s about a common purpose, a shared mission: spread and promote the highest quality and involve in our forward-thinking scheme. Max Durante began his professional DJ career in 1987 in Rome. He is one of the hinges of the 90’s rave generation, his sound, and his presence have been fundamental for the early Italian Techno scene. He has been a regular on the greatest Italian Raves and played in the best European clubs and festivals since 1991. Well respected as a DJ, thanks to his great mixing abilities, and as well as a producer for his precious creativity in his recording productions. Over the years he has built and developed his own personal show, showing off his true character and charisma, creating sounds ranging between hypnotic, dark, industrial, acid, electro and techno. His first EP on Sonic Groove was ‘Metastability’ (2015), followed by a 12” on Kynant Records in a collaboration with Donato Dozzy. In 2016 his second release on Sonic Groove ‘Insurrection of Inequity’ EP. In February 2018 he released his first ambient techno LP “The Experiment” on Kynant Records. 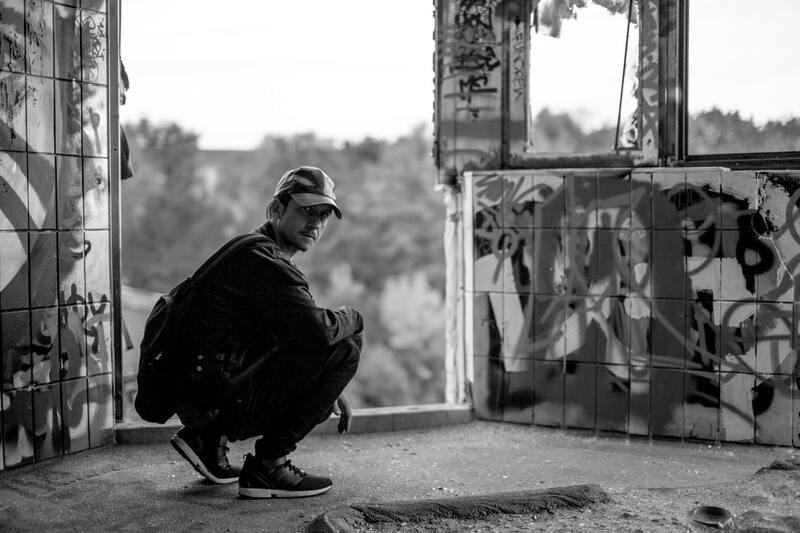 In September 2018 he had released his third EP for Sonic Groove and in 2019 he will release two new 12″ for [aufnahme + wiedergabe].